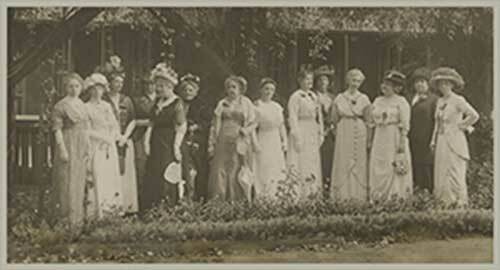 The 35 Ladies Project is a continuing serial, with	new installments every month, revealing delightful details about the women who in 1902 founded The Outdoor Art Club. Read and be amazed, informed and inspired. Membership of the Outdoor Art Club now numbers over 400 women of all ages, proud of the many accomplishments of their Club and happy to be involved with their community and the world around it.